In Switzerland, we have the perfect example of the old saying – a little bit of knowledge is dangerous. We have activists who are clearly living in a world they comprehend no less than the financial system. These people have managed to get a referendum on changing in the financial system with the same promises of Karl Marx that this will end all financial crisis to come forever. The referendum is scheduled for June 10th, 2018 after they got 100,000 signatures. The organizers are calling this the Full-Money Initiative. They understand that the bulk of the money is actually created by banks through lending. Their solution is to bar private banks from lending on any leveraged basis by setting limits on lending. They will be unable to lend money beyond what they actually have on deposit. They cannot create money by new loans. This is the most stupid Idea I think I have ever heard. They have no idea what the Full-Ramifications will be of such a proposal. The promoters are advertising this will make the monetary system more secure and preventing financial crises. “Now we are stepping up our efforts to explain to people where their money really comes from and what the risks are in the old system,” said Emma Dawnay, a member of the organizing team, according to Reuters. 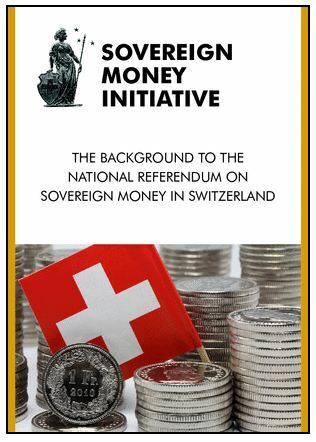 They are promoting this Sovereign Money Initiative to stop the financial crisis cycle that they have no idea of how such events are even created. According to their plan, banks will only grant loans to the extent that they have previously received funds from savers, other institutions or the central bank. For the creation of money then only the central bank would be responsible. However, Dawnay rejects that their initiative will create an economic upheaval introducing tremendous uncertainties. Clearly, she is qualified for government service because this is the precise attitude which creates the very thing she is pretending to prevent. Obviously, Dawnay may have a Ph.D. in other fields, but that does not qualify her for anything else. 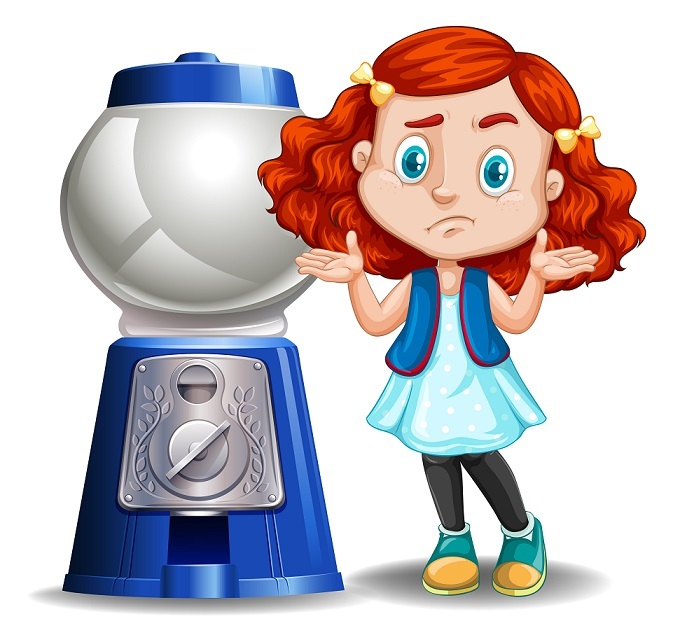 She thinks that banks lending money which leverages the system is the CAUSE of a financial crisis so she wants to hand the power to create all money to the government – the very people who are incapable of balancing a budget or managing even a bubblegum machine. When they are out of bubblegum, they just go steal some more and open shop again since they spent all the money they took in before. Government is the single biggest borrower in society. So how will they sell their debt without creating more money? Then we have the problem that if the government has to create the money and approve all loans, then politics will enter the scene and you will be unable to borrow if you are part of the opposition. Andrew Jackson destroyed the Bank of the United States BECAUSE they lent money to the opposite political party to defeat him. There was no magnanimous effort to save the country. He destroyed the financial system and created the Sovereign Debt Crisis that suppressed the economy for a decade and built the resentment between north and south that led to the civil war 10 years later following the end of the Jacksonian Depression. Then this idea of a Full-Money Initiative shows truly their underlying ignorance for if you cut off lending, well guess what! They will be unable to sell their homes and the value will crash because the only buyer will be someone with cash. 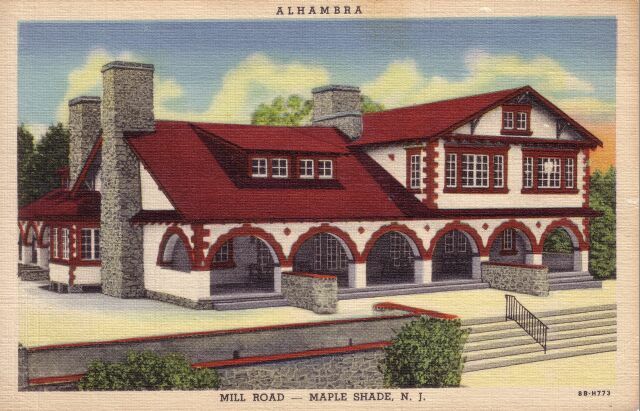 The town I grew up in, Maple Shade, New Jersey, was once the suburb of Philadelphia. The real estate developer was Barlow who built his mansion (pictured here) in town where my parents met before World War I. He became rich selling real estate for country homes to those in Philadelphia. Both my parents were born in Philadelphia. One of my father’s friends had cash during the Great Depression. He bought most of Main Street back then for pennies on the dollar for there was a shortage of money with no bank lending. This is precisely the outcome of this Sovereign Money Initiative if it actually passed. Switzerland would be the greatest short of all time. No bank would survive and the government would suddenly find NO BID for its new debt. These people are dangerous for they are just like those who want to shut down the Federal Reserve with simply stupid ideas that demonstrate they too fail to understand even how the world economy functions. The first world financial crisis took place in the Panic of 1857. This was the first Panic to appear as a global contagion. The 1720 collapse of the Mississippi Bubble in France and South Sea Bubble in England was a contagion set in motion within Europe. However, the 1857 Panic was set in motion by the declining international economy because of the interconnectedness of the world economy during the 1850s. The financial Panic began in late 1857 in Britain when the Palmerston government circumvented the requirements of the Peel Banking Act of 1844, which required gold and silver reserves to back up the amount of money in circulation. In that instance, the government lifted restrictions because the banks were in trouble. That spread to the United States for once British banks started to fail, people worried about American banks. Of course, then there is the example of the Silver Democrats. They thought that they could raise the price of silver above world levels thanks to the silver miners who bribed them. They soon discovered that people were bringing their silver to the States where it was over-valued and used it to buy gold and export the gold back home. They kept this arbitrage up and then the Panic of 1893 began and by 1896, J.P. Morgan organized British banks to lend the USA $100 million in gold to prevent it from complete bankruptcy in 1896. President Cleveland was a Democrat and he warned that his own party had imposed unsound finance. 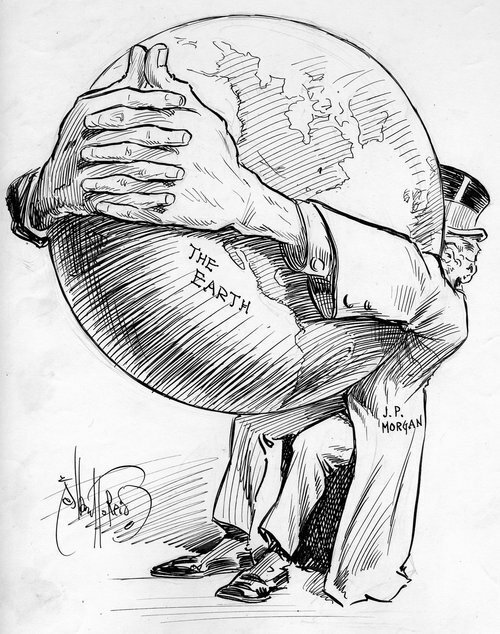 The same type of people who could not understand the world monetary system accused Morgan of making a profit on the deal. They refused to see that their ideas were brain-dead back then as well. They preferred to blame Morgan for their own stupidity. Financial Panics are often global contagions today. 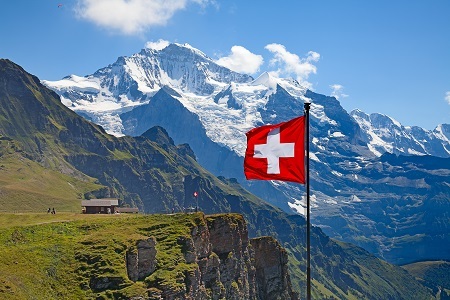 This movement in Switzerland would destroy the country and the depth of the depression would be far worse than the Great Depression. 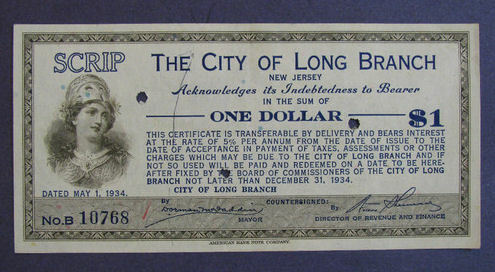 There was such a shortage of money back during the 1930s, that cities began to issue their own scrip to try to save the economy and allow people to economically carry on, which they could not due to the contraction in the money supply. 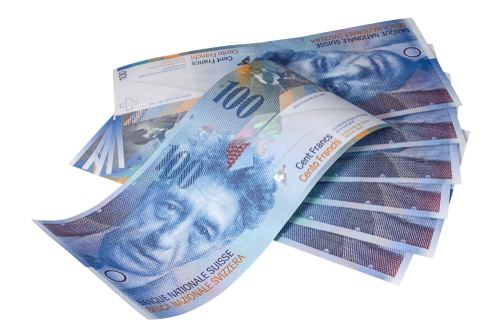 Contracting the money supply, as these people propose, would send asset values to virtually zero in Switzerland. They reject any such criticism because they just do not want to believe this solution is completely brain-dead. History proves one thing – stupid people really mess up the world and then blame others. I keep warning, we are all connected. No country can move counter-trend for they will rapidly find their crisis comes from a contagion outside their control. Even communism failed despite its attempt to maintain isolation. Economics wins at the end of the day. Both Keynes and Marx have seriously infected the world. Debt is a problem, but it is more along the lines of what Adam Smith once said.